was a great opportunity to bring them to light. Today, November 16, is the last day to present your three best pictures of 2011 (or more) if you feel like participating in Scott’s assignment. I do not really consider them as my “best” but certainly they are favourites of mine. Each for its own reason. I did not take many pictures in 2011: loss of my camera (Sony Cyber- shot), loan of another one (Canon) for a while and finally getting a new one I need to get accustomed to (Panasonic Lumix ZX3). Nevertheless here are some pictures I am very happy to share with you. 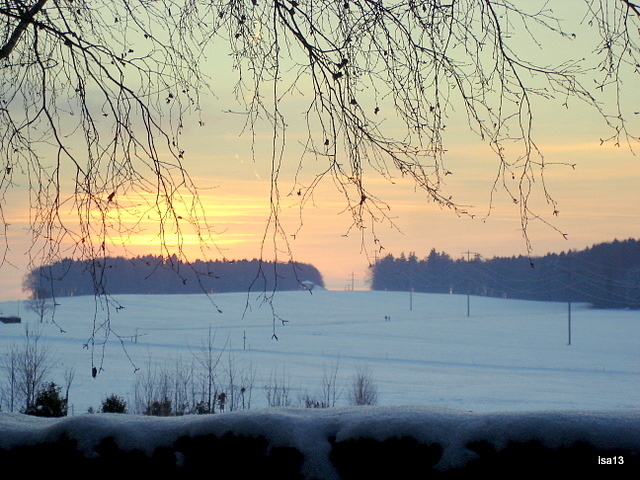 A Winter sunset in front of my home. The day had been cold and the walk to the forest went at a brisk pace. I love how the light branches of a birch tree added a decorative frame over the landscape. Snow fell heavily, sky and earth were of the same pale shade. 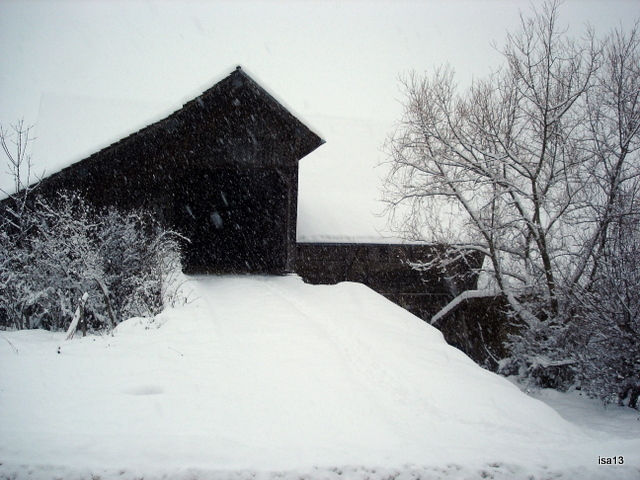 The dark wooden barn stood out in all this whiteness. I wish this image would make you feel the intense silence that was envelopping the whole landscape. No cars, quiet birds, even the wind had stopped howling. A white silence all around. The Joy of Spring after a long and harsh Winter ! Countless shades of green under a warmer sun. 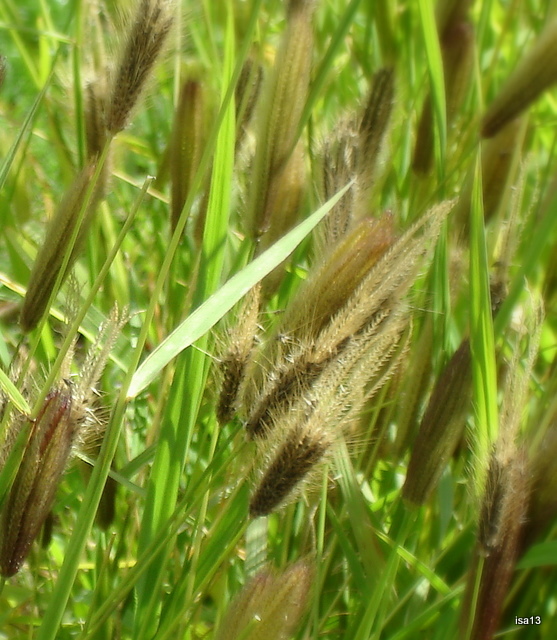 The soft sounds of grasses brushing against one another was a real delight to listen to. Nino, of course, is one of my favourite models in photography. 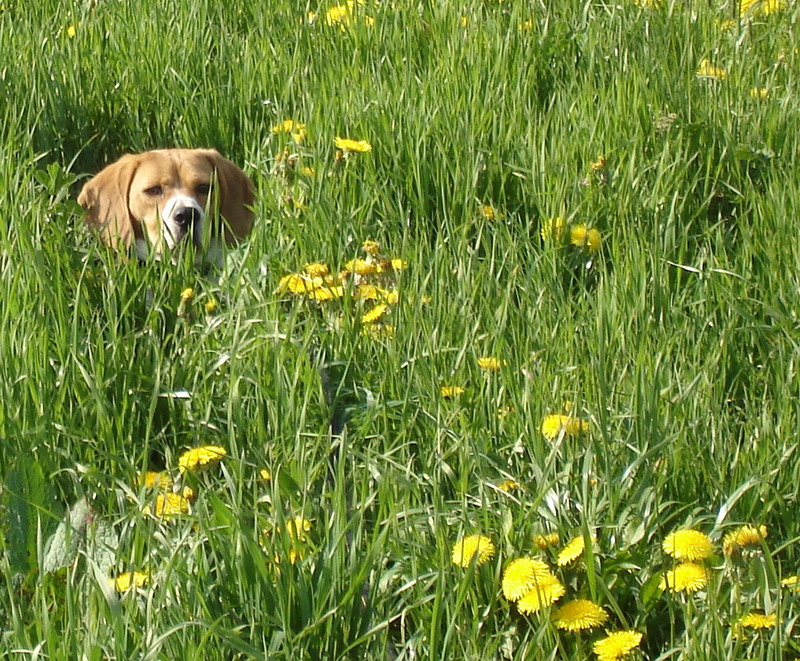 On that day, he was keeping a low profile…hiding in a field, looking rather worried. What you do not see are three black and white cows grazing peacefully a little further away. 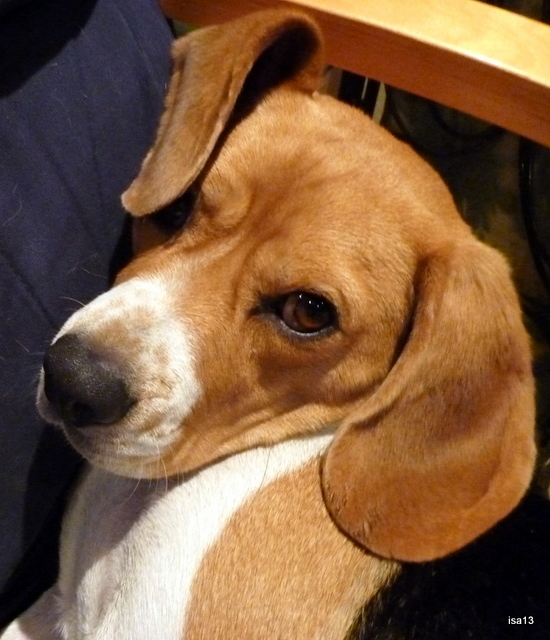 He is afraid of them although he has made progress during the Summer. Cows are everywhere around here, so many pastures for grazing. On a sunny afternoon I was driving near a farm. I caught a glimpse of an extraordinary water- jet ! 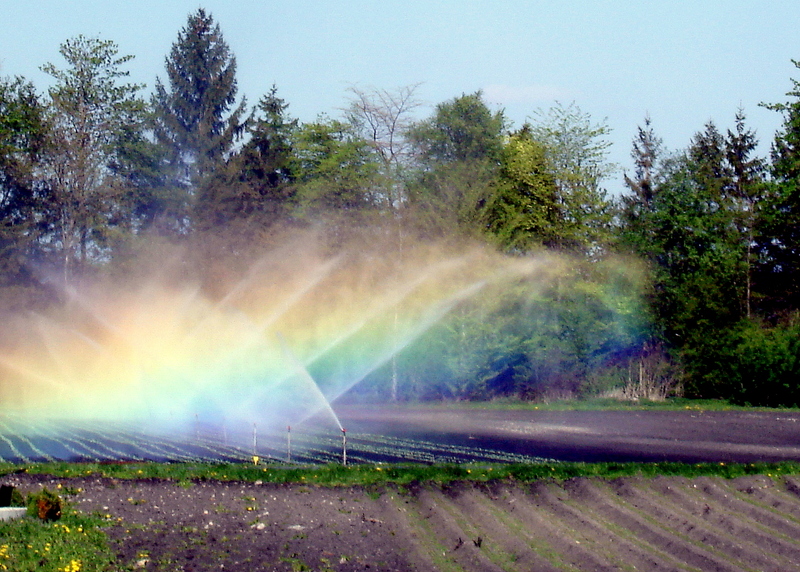 I stopped and looked at this beautiful sight : the sun was shining on the drops of water as if a rainbow had fallen onto the field. The sight was even more surprising when I downloaded the picture. Almost unreal. A white swan gliding silently on a canal reminds me of a peaceful Summer walk. 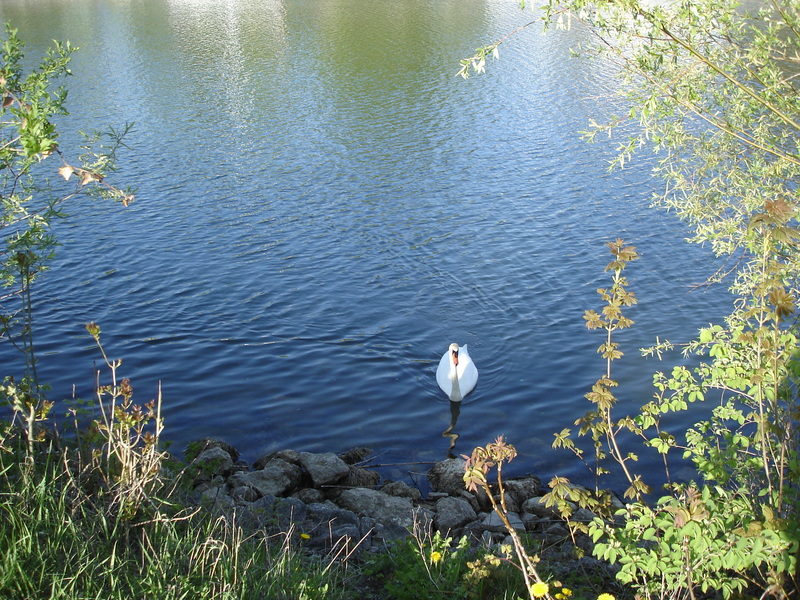 There were fishermen, small boats, ducks and this lone swan hoping for some pieces of bread that I did not have. Last October I visited friends in the South with my family. Ticino state is the only Italian-speaking area in my country. A little bit of Italy here and there. 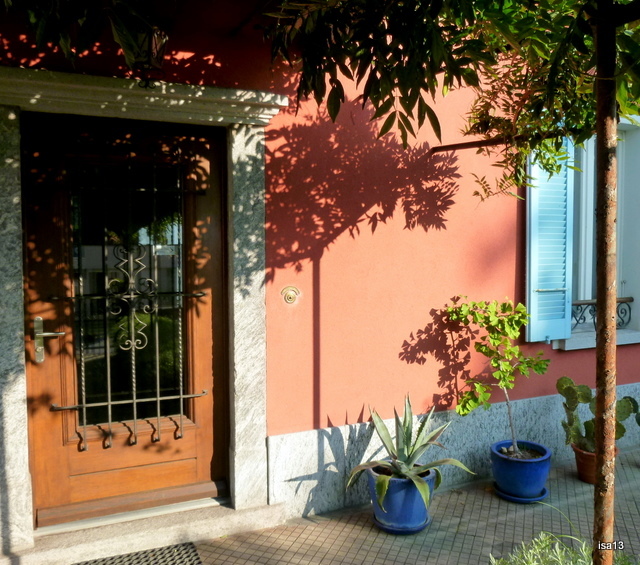 This door is the entrance of a pleasant B&B, an ancient house of the XIXth century, nicely restored and welcoming guests all invited to the same wedding. What a wonderful stay and wedding party ! Autumn arrived slowly, with days that looked like Summer so mild and sunny they were. 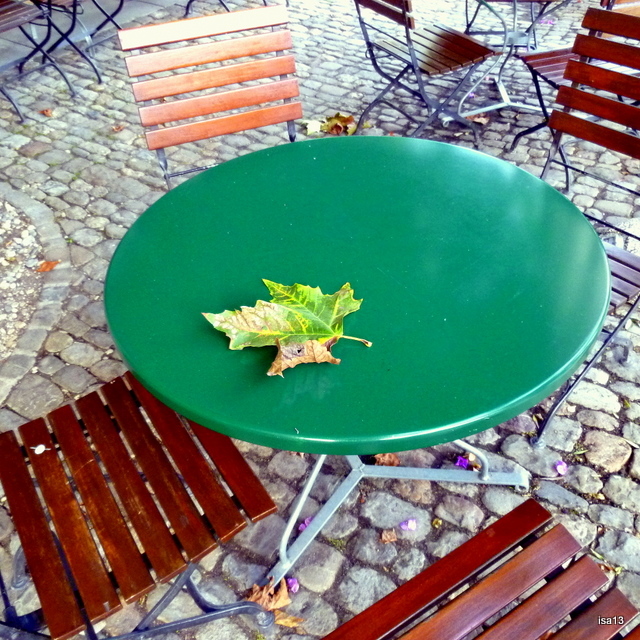 Yet, little by little, terraces were deserted, leaves started falling, temperatures dropped. Mornings are frosty and the forest is covered with a precious and rustling carpet, night falls around 6pm and soon the trees will be bare. Snow is just around the corner and next year too. With more pictures ! I hope you enjoyed this short travel through some of my favourite pictures. Thanks for traveling with me and thanks Scott for another enjoyable assignment.